Wedding Photography at the Hard Days Night Hotel, Liverpool. The four star Beatles Hotel, Hard Days Night in Liverpool is the prefect choice for any musical lover wanting something different for their wedding venue. Being the only Beatles themed hotel in the world, there’s memorabilia every where and your guests are treated to their own private museum on the bottom floor next to the ceremony and breakfast reception room. The building dates back to 1884 has 110 rooms, so accommodating those wedding guests is not a problem. 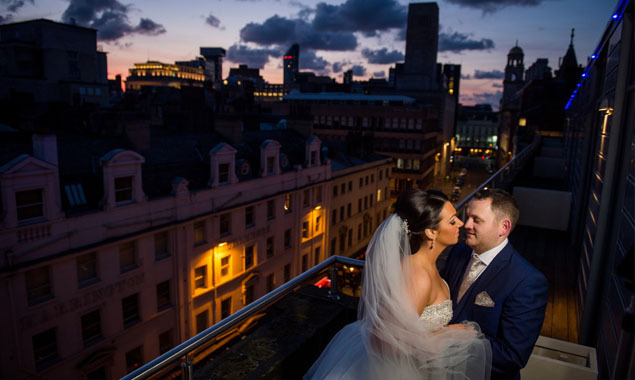 Centrally located in Liverpool, the Hard Days Night wedding venue has everything on the doorstep you could want. Around the corner from the Beatles Cavern itself, if you want quirky wedding photographs with a twist, this is the location for you. The honeymoon suite, named after the most memorable Beatle, John Lennon, has a private balcony overlooking the city and is the most amazing site at night. Accommodating up to 75 guests for civil ceremonies and 180 in the evening, if you want a intimate wedding with all the pizzaz, this is one wedding venue in Liverpool not to be overlooked. Get in touch to see my wedding albums or have a chat about your Hard Days Night Wedding Photographs.